Salmon Forks Outfitters is a premier horseback-based outfit offering guests a vacation they're never forget with epic guided wilderness fly fishing, elk hunt and pack trip services into the infamous Bob Marshall Wilderness of Northwest Montana, affectionately known as the "Bob." Salmon Forks Outfitters is unique among other Bob Marshall Outfitters! Our fishing trips are located at the headwaters of the fishery in the interior of “The Bob,” providing unaltered access to fish and maximizing your vacation time on the water. Our USFS permits allow us to offer wilderness elk hunting in 13 different drainages of the Bob Marshall Wilderness a full 6 weeks prior to the opening of the Montana general season for elk hunts. Our roving summer horseback pack trips throughout the Bob Marshall Wilderness treats guests to the varied sights and sounds of the “Bob,” including the world-renowned Chinese Wall, while maximizing their time on the back of a horse. We can also customize any trip to meet your unique needs. 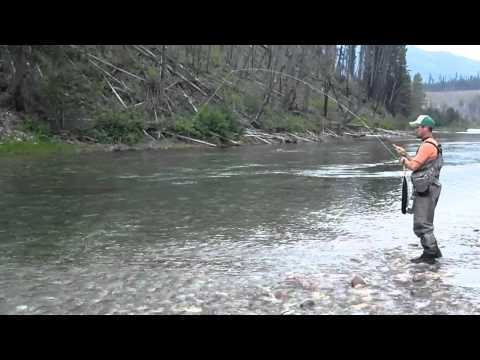 Read on to discover why Salmon Forks Outfitters is your best choice for a once in a lifetime Bob Marshall, Montana vacation experience! As a member of the Swan Group of Companies, Salmon Forks Outfitters has the ability to customize any trip for those folks looking for a one-of-a-kind experience. Summer Horseback pack trips are among one of the most special experiences a visitor can have in Montana, and a trip to the Chinese Wall is recognized worldwide. Elk hunting in the Bob Marshall has been heralded for over 50-years as the quintessential pack in wilderness hunt experience. 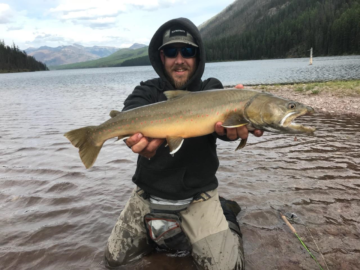 With arguably the best location for camps in the interior of the Bob Marshall Wilderness , SFO accesses the cherished areas that provide true unaltered access to fish.